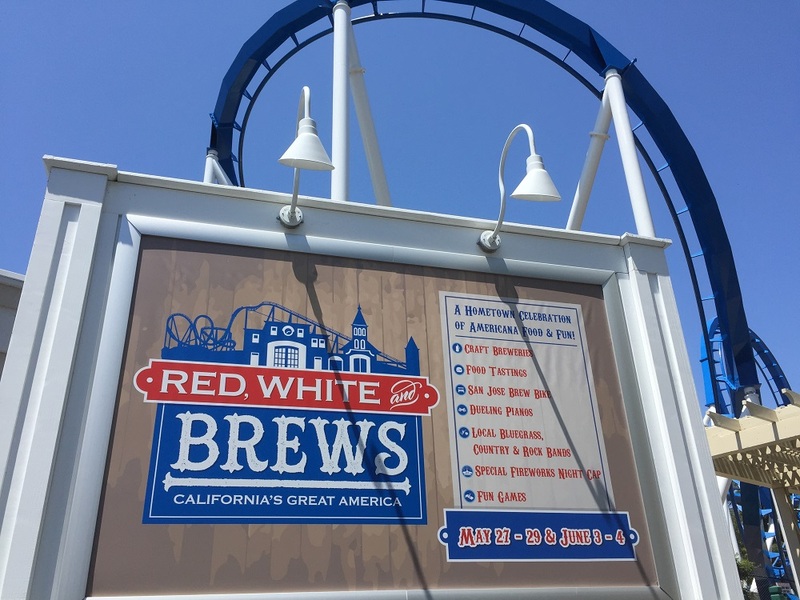 California’s Great America launched the first-ever Red, White & Brews over Memorial Day weekend, a lively Americana-themed festival with a variety of food, more than 25 regional craft brews, Northern California wines, Bay Area bands, outdoor games and entertainment for children. Underneath the park’s refurbished Patriot roller coaster in Hometown Square, a slew of booths are set up throughout the area, where guests can try out such fare as smoked chicken drumsticks, barbecue pulled pork sandwiches, skewered bacon wrapped chicken hearts, corn ears roasted in chili powder and lime juice, and tombstone sliders with shaved brisket. For dessert, there is apple pie, bacon and cheddar parfait or a traditional strawberry shortcake. Tasting cards are $25 for six samples. Microbreweries from throughout Northern California have also set up shop, including Gordon Biersch, Sierra Nevada, Anchor, Stone, Mendocino, Hanger 24, Lagunitas, Speakeasy Ales & Lagers and others. Wine pouring options include William Hill, Flora Springs, J. Lohr, White Oak, Concannon and more. Craft beer and wine tasting cards are available for $25 per person for six, six-ounce samples. 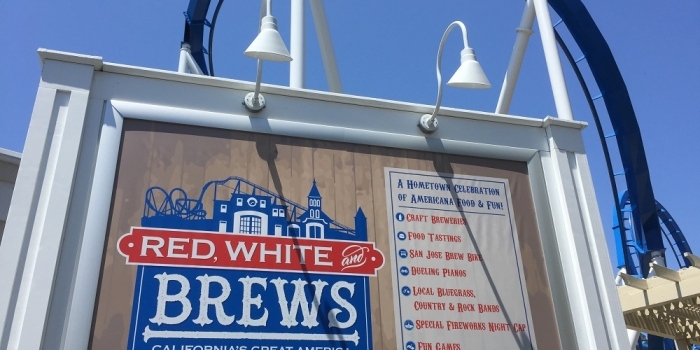 Those who want to sip on their brews and check out the rest of the park can hop on the San Jose Brew Bike, which tours up to 15 guests around Great America. 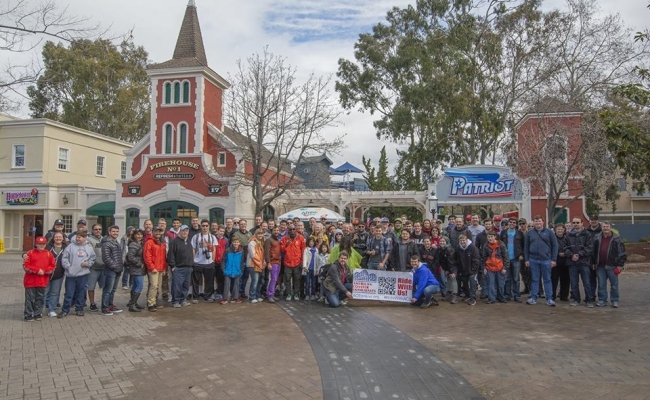 In addition to dueling pianos performing inside the gazebo in Hometown Square, a stage has been constructed in front of the Great America Theater where four local bands perform rock, country and bluegrass music throughout the day. Red, White & Brews continues June 3-4. For information, visit www.cagreatamerica.com.